Mlakar Markovec company, with the product SlovenianBears - a bear-friendly photo experience is the winner of the Sejalec 2018 call! 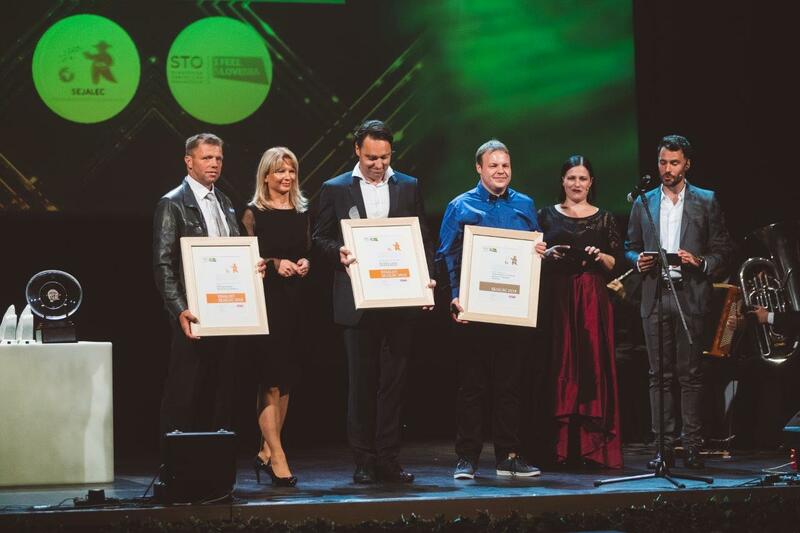 The Krvavec Troll Adventure and the Big Berry Luxury Lifestyle Resort were also among this year's finalists. As stated by the Sejalec jury, SlovenianBears is a particularly boutique product for a specific target group of guests who, on the migration routes of the brown bear, are looking for the best photo of the beast in its natural environment under expert guidance. A 30 km long airline, from the Croatian Čabra to Slovene Cerknica, connects 20 observatories, adapted for photo-shooting and recording needs. Guided tours for "bearers," guests who travel on the tracks of brown bear, are limited to a maximum of 6 people, thus ensuring the safety, quality, and authenticity of the experience for both humans and animals. The product interprets the natural heritage in its own way and attracts the guests to the Loška valley. It operates in the direction of active tourism, connects hunting families, caterers and cavers, and represents the potential for economic incentives for the entire Loška valley. The project also carries a wider awareness of respect for nature and the cohabitation of man and bear as our greatest beast. Message by Miha Mlakar, the owner: "Less is more. Also in tourism." Another Sejalec finalist, Big Berry Luxury Lifestyle Resort, at the confluence of the rivers Lahinja and Kolpa, addresses the segment of the guests of the higher price class, who have not been much present in Bela krajina region so far. The innovative character of aesthetically perfected space is especially evident through the concept of a tourist brand, which is spread by international staff actively connected with the locals. Through local breakfasts and a host of gastronomic events and various meetings, local restaurants, winemakers, farmers, and entrepreneurs are promoted. As for promotional channels they have put social networks on the forefront, and their promoters are selected instagramers, bloggers, journalists and small entrepreneurs from around the world. The luxury of 25,000 square meters of space, almost private beach, beach volleyball, bicycle and kayak rental, and a common open-air dining room guarantee an authentic experience of excellence in the destination. The concept of Big Berry life is intended to expand on the principle of a franchise to Croatia, Austria, and Italy. Big Berry is, therefore, a "new tourism orchard," an innovative example of transferring new ideas into an existing environment and an exercise in thinking about what modern tourism can be. The second finalist of the Sejalec, Krvavec Troll Adventure, is only first part of the planned Slovene fairytale transversal, which will run from several regions (Krvavec and Polhov Gradec through the Ljubljansko barje to Pivka). Krvavec Troll Adventure represents the underdeveloped segment of family tourism with an emphasis on didactic tourism, which is especially ignored among the children's population. Interpretative guides support a thorough interpretation of natural and cultural heritage, and at the same time children are skillfully introduced into the world of hiking and motivated to take part in it. It is a comprehensive and marketable tourist product based on the original story from the picture book and connects the key identity elements of Krvavec: pasture, medicinal herbs, and life in the mountains. The product also directs visitors from the often overburdened Julian Alps to the Kamnik-Savinja Alps, with which Krvavec, until recently famous mainly as a ski resort, extends the season in all year around.